I’m so excited that Seattle Dog Spot, the recent winner of Pamperyourdog.com’s Top Dog Award, has posted my article on getting educated on humane issues before you go to vote! Check it out here. Remember to vote on or before Aug. 7th! Approaching 75,000 cats fixed in Lynnwood! T-shirt at the FCSNP in Lynnwood, Wash. 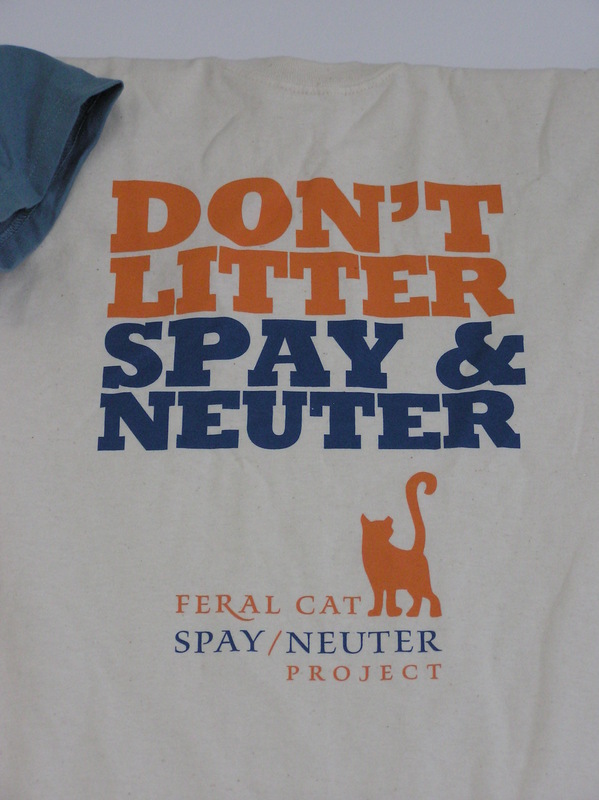 The Feral Cat Spay Neuter Project (FCSNP) in Lynnwood, Wash. is approaching a phenomenal event. This June they are passing a benchmark of spaying or neutering 75,000 cats! Here is a brief interview with Executive Director, Lauren Glickman. Q: An exciting milestone for the Feral Cat Spay Neuter Project (FCSNP) is coming up as you approach fixing the 75,000th cat. Did this milestone come sooner than you expected? A: The milestone seems right on time. 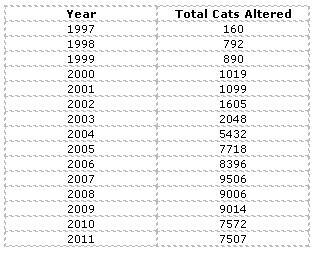 We’ve been altering between 7500 and 9500 cats per year for the past 5 years now, so we’ve been able to predict with some accuracy when these milestones will occur. Q: How many years has FCSNP been in operation? Has your rate of cat surgeries increased over the years to reach this milestone? Is there a maximum capacity for the Lynnwood clinic? A: In operation, since 1997 and rate statistics are shown below. Capacity is 50 cats/day. Q: How far do people drive to bring cats to the clinic? What is the overall region you serve? A: People have come all the way from Forks, WA and also from Gray’s Harbor, Tri Cities, Yakima and Lewis County. Most of our cats are from Pierce, Snohomish, King, and Grays Harbor counties. Q: I understand you are implementing a campaign in Everett to let people know about your services. Who are you hoping to reach with this campaign? A: We are hoping to reach out to people who live in areas where there are free-roaming cats as well as low-income folks who want to do the right thing but can’t always afford it. Q: How do you plan to celebrate this milestone? Do you have any other milestones on the horizon? A: On August 18th we are going to host an Open House at the Clinic in Lynnwood. We will have drinks and snacks and will chat and enjoy each other’s company. We have a big Sexless Soiree Auction with a Twist coming up on September 15th. That’s our big fundraiser for the year and it’s super playful and fun! Q: How can people help out at FCSNP? A: People can help FCSNP in many ways. Monthly donations are probably one of the best ways… a small recurring monthly donation makes a huge difference in what we’re able to accomplish. Donations of towels, auction items, carriers, bleach, garbage bags and Costco gift cards are always welcome. People can volunteer in a variety of ways. Our website www.feralcatproject.org describes the many volunteer positions available. For a lifetime, we have heard the mantra to spay and neuter our pets, and most of us heed the call. But for many Washington residents, access to spay/neuter services and the ability to pay for them is not as straight-forward, and unwanted pets are a natural result. Public spay/neuter programs are a vital and effective life-saving tool to help reduce the number of animals that end up in shelters. Sadly, tens of thousands of animals are brought to Washington shelters each year, with roughly a third or more of the animals euthanized. Recently, the Seattle Humane Society announced some exciting news: It has achieved a benchmark of 100,000 spay/neuter surgeries over the last 30 years. Similarly, last year alone, the Feral Cat Spay/Neuter Project in Lynnwood performed 7,415 surgeries, and PAWS performed more than 500 public spay/neuter surgeries through its clinic and more than 1,300 shelter-animal surgeries in 2011. While this is a big achievement, unfortunately, it is not quite enough to make a statewide dent in our pet-overpopulation problem, yet. Many animal-welfare groups are hoping for help from our state Legislature. The Washington Alliance for Humane Legislation (WAHL) is advocating for these bills to be passed to implement a program to provide statewide spay/neuter services. 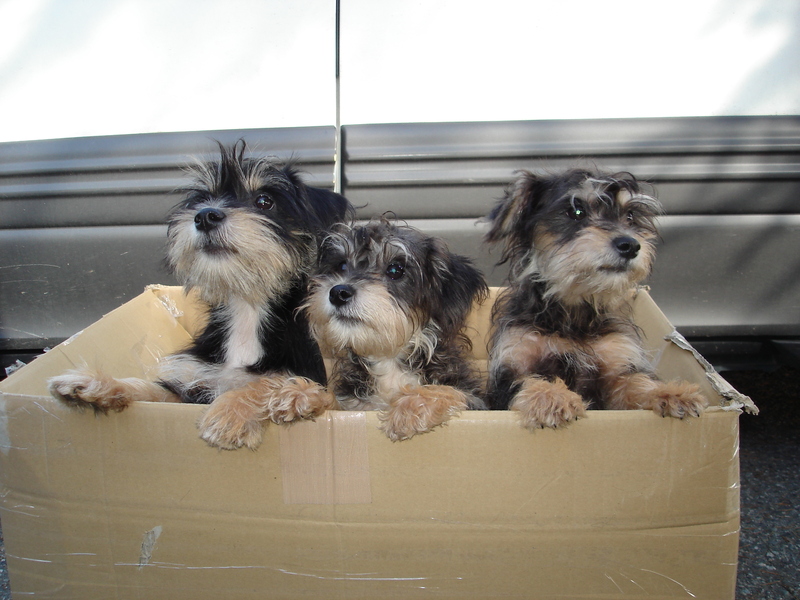 This program would initiate a small fee on pet food paid by pet-food distributors to provide roughly 65,000 spay/neuter surgeries for pets of low-income families or homeless animals each year. It is expected that the fee, which would cost Washington pet owners about 2.5 cents per pound of pet food, would bring in about $10 million per year and, in the long run, would dramatically reduce the burden that animal overpopulation, euthanasia and animal control has on state and local governments. This spay/neuter program would not use any general funds. 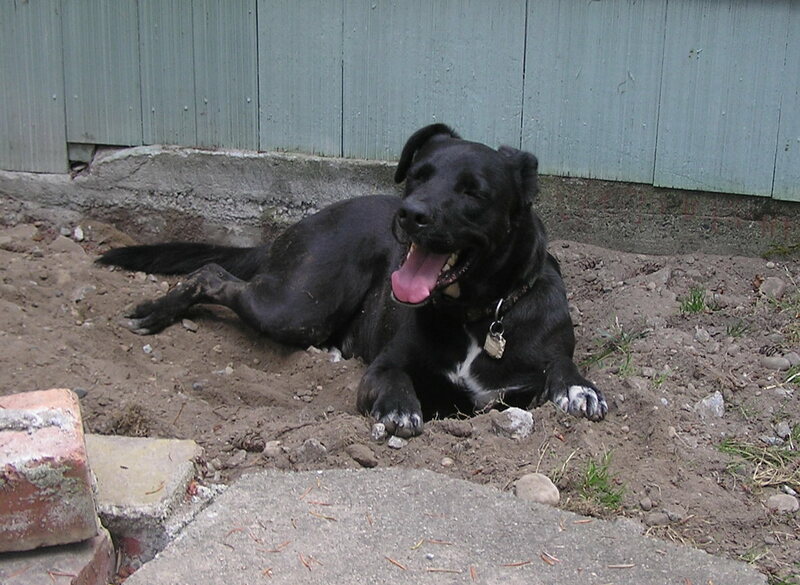 In fact, according to WAHL board member Rick Hall, a statewide spay/neuter program has many additional benefits, including reducing the euthanasia of tens of thousands of cats and dogs in Washington shelters and helping to reduce the growth of feral-cat colonies. Hall explained that at least eight other states in the country have similar programs, and states such as New Hampshire saw a 75-percent decrease in euthanasia and a 34-percent decrease in shelter intakes during the first few years its program operated. More than 80 animal-welfare groups statewide have come out in favor of the spay/neuter assistance bills. Kay Joubert, the director of companion animal services for PAWS, said the organization “fully supports” the bills. She explains that we need statewide spay/neuter programs to fill in the gaps in rural areas where no spay/neuter services are available. This program encourages pet owners to utilize the services of local veterinarians who would be compensated by the program for providing low-cost spay/neuter services to the community. Joubert feels that most pet owners won’t mind paying a little extra for pet food because they recognize that this program is a preventative measure. “Our research shows that the pet-food fee is insignificant to the customer,” said Hall, whose research found that even simple price variance between pet-supply stores was larger than the difference a pet-food fee would add to the cost of food. Nonetheless, several groups are against HB 1226 and SB 5151 because the fee is like a tax at a time when new taxes are as unpopular as cleaning the kitty box. Most notably, the Pet Food Institute and the Washington State Veterinary Medical Association spoke out against these bills during a legislative committee meeting last spring, based on their concern that a tax or fee on pet food would be a burden to pet owners. “I’d rather fund schools instead of prisons,” Joubert said, and I agree. I would rather fund a statewide spay/neuter program instead of shelter euthanasia. It’s simply a better use of our money and improves our community overall. To find out more about the spay/neuter assistance bills, visit the Washington Alliance for Humane Legislation at www.savewashingtonpets.org. To learn more about PAWS, visit www.paws.org. To have your pet spayed or neutered, contact your veterinarian or one of the following clinics listed on the Seattle Animal Shelter website at www.seattle.gov/animalshelter/spay-neuter-clinics. What we need is a neighborhood watch…for cats. It wouldn’t be a typical neighborhood watch, of course, but the benefits would be similarly favorable. What if you kept your eye out for stray or feral cats in your neck of the woods and made a quick call if you saw one? That is the hope of Kate Rich, cofounder of the Alley Cat Project in Seattle. 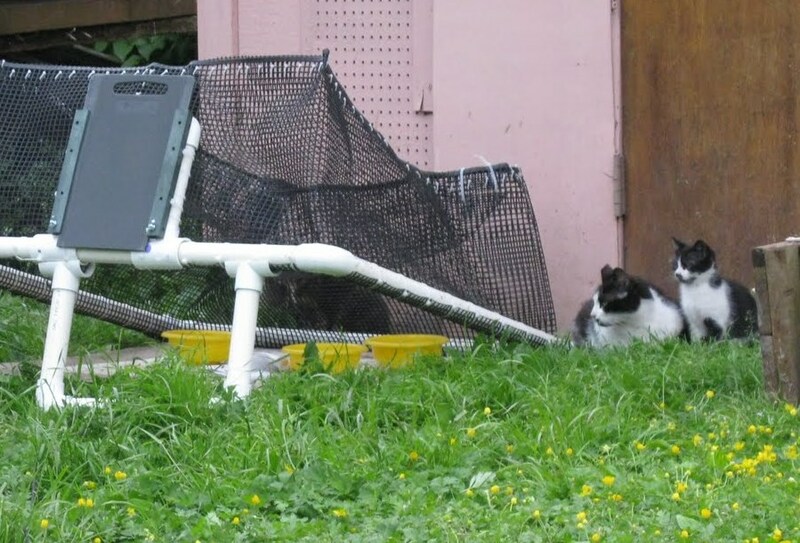 Rich and her colleagues have a mission: to trap, spay or neuter, and return every feral or free-roaming cat in Seattle. In 2011 alone, they’ve already assisted more than 180 cats, and they are called upon by the public almost daily to deal with colonies of cats and pregnant or nursing mothers. Clearly a pragmatist when it comes to animal-welfare issues, Rich and five other volunteers started the Alley Cat Project in 2008. While there are many not-for-profit groups providing trap-neuter/spay-return (TNR), Alley Cat Project focuses on just the city of Seattle so as not to burden their volunteers with long-distance driving out of the city. Rich said it’s more efficient to work within an area where you live, and other groups do the same. TNR is a free-roaming-cat management technique that involves trapping feral and stray, but tame, cats and sometimes entire colonies of cats; spaying or neutering them; and ultimately returning the cats to their site of origin. Prep table at the Feral Cat Spay/Neuter Project. That’s an understatement, I thought as I toured the animal clinic on a beautiful Sunday morning in June. I was nearly overwhelmed by the speed, care and diligence with which every cat was fixed. In fact, this tight operation has fixed more than 66,000 cats since its inception in 1997 and continues at a rate of 200-plus cats per week. 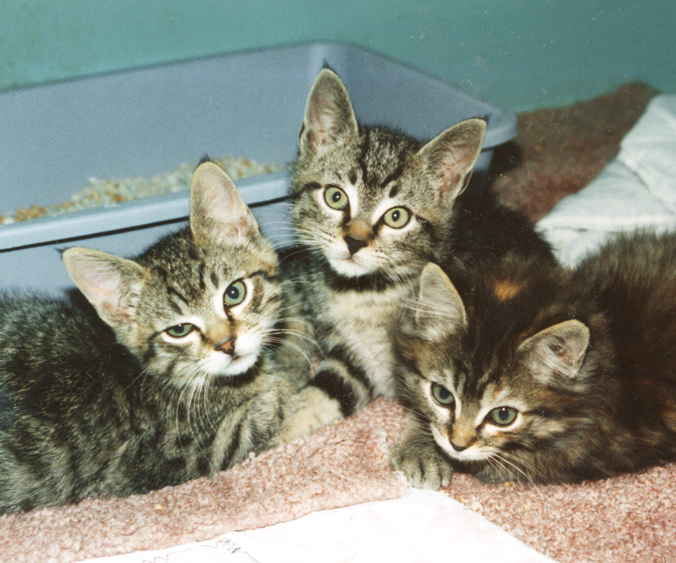 While FCSNP was originally founded to spay/neuter the multitude of feral and freeroaming cats in the Greater Puget Sound area, currently, around 60 percent of the animals brought to the facility are owned cats. The requested donation from the public is just $25 for females and $15 for males. This price point makes sterilization possible for any cat owner, and the shift to serve the public more frequently is a testimony to FCSNP’s success: The more the organization can reach out to cat owners to spay/neuter, the fewer feral cats are born onto the streets. As for the neighborhood watch, Rich said that cat colonies usually aggregate around a single food source: either waste food in a dumpster or compassionate individuals saving cats from starvation. But without population control, feeding freeroaming cats turns into feeding a colony of cats in a very short time. These cats have become feral because someone didn’t heed the call to fix their cat. To learn more about the Alley Cat Project and the Feral Cat Spay/Neuter Project, visit their websites at www.alleycatproject.org and www.feralcatproject.org. Donations can be made to either group through their websites. FCSNP maintains an Amazon wish list, an easy way to purchase specific items required for the spay/neuter clinics. The Alley Cat Project can use donations of clean towels and canned cat food. Most of all, they advise that owners make sure their cat is spayed or neutered. CHRISTIE LAGALLY is a freelance pet columnist who manages the website Sniffing Out Home: A Search for Animal Welfare Solutions at http://www.sniffingouthome.org.